Warner Bros. is finally moving ahead with Edge of Tomorrow 2 with both Tom Cruise and Emily Blunt expected to return. Emily Blunt says director Doug Liman is now working on a new script for Edge of Tomorrow 2. Edge of Tomorrow 2 Script Is Done, When Will We See It? Director Doug Liman confirms that the script for Edge of Tomorrow 2 is done, but scheduling could be an issue when it comes to getting the movie made. Director Doug Liman offers new insight into Edge of Tomorrow 2, which will be his first ever sequel. Writer Christopher McQuarrie promises that Edge of Tomorrow 2 will answer questions left lingering at the end of the first movie. 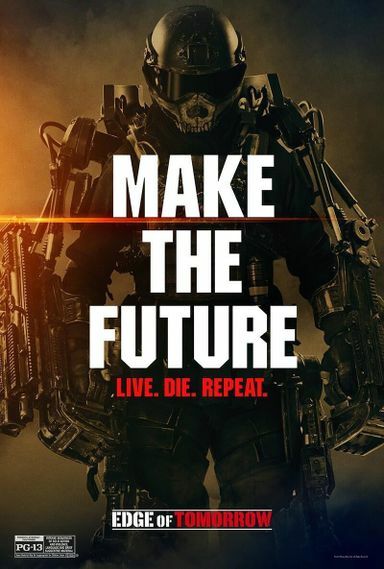 Director Doug Liman reveals that Edge of Tomorrow 2 will be the final movie in the franchise, with a new character that will steal the show. Director Doug Liman confirms that Emily Blunt is returning for Edge of Tomorrow 2 as the sequel gets it's official title, ripped straight from the first movie's tagline. Director Doug Liman breaks down the mystery behind Edge of Tomorrow 2, saying it's not like any sequel that has come before it. Frankie & Alice writers Joe Shrapnel and Anna Waterhouse are taking on the script for for Tom Cruise's Edge of Tomorrow 2. Tom Cruise has pitched an idea for Edge of Tomorrow 2 to director Doug Liman, and hopes Emily Blunt will return.